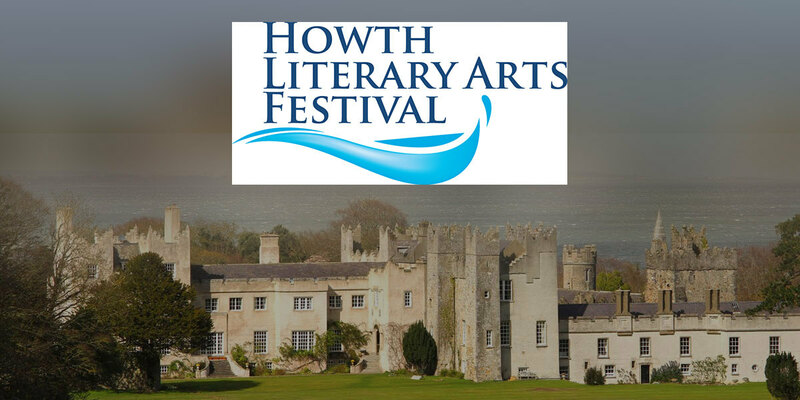 The Howth Literary & Arts Festival will take place in the beautiful environs of Howth Castle from June 9th to 11th, 2017. This, the third year of the Festival, we continue our literary and artistic programme to include drama, cultural history and literary arts events. Our opening event begins with an exploration of Balscadden Bay and its mystic influence reflected in the work of WB Yeats, JP Donleavy and Lobsang Rampa, while singer and local resident Jeannette Byrne will outline the significance of her childhood home Balscadden Cottage. Vandra Costello will chart the history and development of formal gardening with illustrations from her work Irish Demesne Landscapes, 1660-1740. Acclaimed historian and chairman of the Irish Tree Society Thomas Pakenham will be joined ‘In Conversation With’ Matthew Jebb, director of the National Botanic Gardens. Our literary and poetry ‘In Conversation With’ series includes; Claire Keegan & Derek Hand (DCU); Mary O’Malley, Paula Meehan & Nerys Williams; Ruadhán Mac Cormaic & Gary Murphy (DCU); Peter Cunningham, Mick Herron & Theo Dorgan. We welcome Joe Joyce in conversation with Sean Moncrieff, to explore Echoland this year’s ‘One City One Book’ novel – a gripping thriller set in Dublin during World War Two. Music related to the themes and times of Echoland will be performed. On Saturday evening, a selection of Percy French music, poetry and song will be performed by Brian Hoey, with Lillian O’Connor as pianist and Noel Carroll on violin. We conclude our Festival amid the fusion of poetry, music, literary and dramatic arts on Sunday 11th with a performance of Samuel Beckett’s lyric poems, produced by Mouth On Fire Theatre Company and performed by Cathal Quinn (English language), Gabriel Rosenstock (Irish language) and Nelly Henrion (French language). The poems are interspersed with musical selections adapted and played by internationally acclaimed Irish harpist Anne-Marie O’Farrell, set against a backdrop by visual artist Margaret Lonergan.